Timothy got a stack of postcards for his birthday! 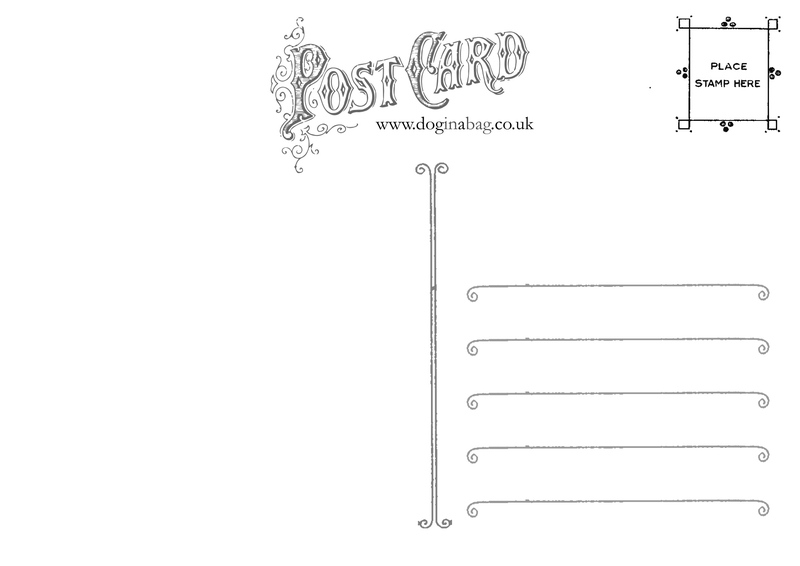 If you’d like some, you can get them here – £5 for 20 blank postcards, delivered. Often when we visit a new town, and always when we are away on holiday, we like to buy and send postcards to friends and family. We thought that if run-of-the-mill towns around the country can have their own postcards printed, why can’t dogs in bags?! 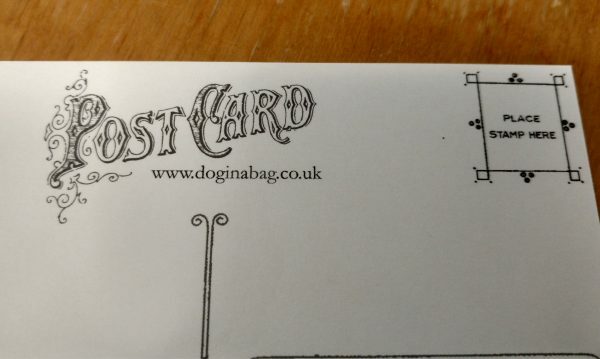 After checking the rules: there was nothing stopping dogs in bags from having postcards printed. So – we did what surely every dog in a bag would do – we got some! 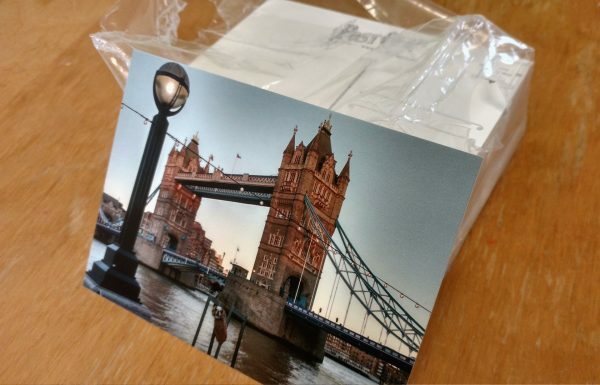 The cards all have his Tower Bridge photo on the front, and a traditional ‘Postcard’ title on the back, along with his web address, and a space for a message and the recipient’s address. They are printed in full colour on the front, with a glossy finish, and are on nice 270gsm card. 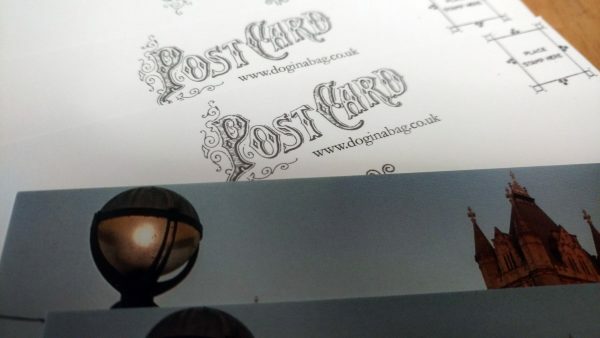 Just like real postcards – because they ARE real postcards – they’re A6 in size and you can post one anywhere in the UK with a regular 1st class stamp, or to anywhere in the world by Airmail with a Royal Mail £1.17 stamp. We’d love to send everyone a card, but really, we can’t do that. If you’d like some for yourself to send to your own friends and family though, we can send you a bundle of 20 through the post for £5 if you’re in the UK (£1 extra if you’re in Europe, or £3 extra if you’re outside Europe). If you’d like some, you can order them here. 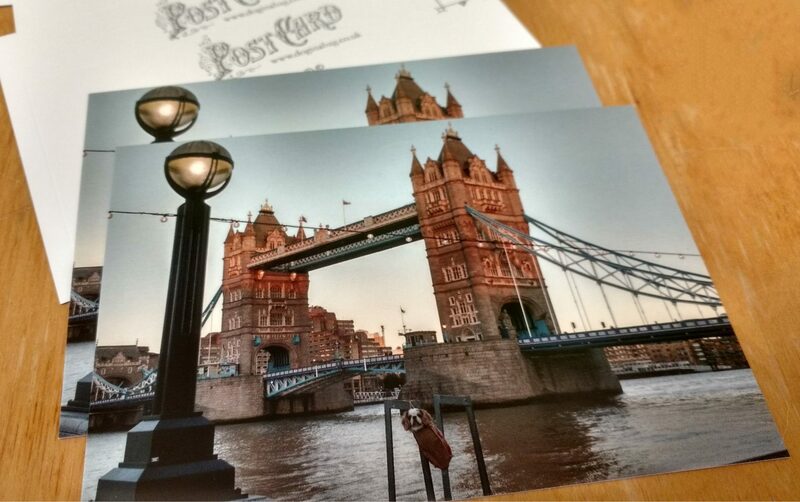 To make your own cards instead, you can download the high resolution photo from the Tower Bridge page (here) for the front, and this image for the back. They’re A6 in size, so you should be able to get four per A4 page when you print them.